It’s funny how the universe puts us where we need to be. Funny and reassuring, and… occasionally frustrating… almost like there’s a booming voice from above saying, “You may not like it now but you’ll thank me later.” Take, for example, a painfully shy 18 year old who couldn’t book a dentist appointment without feeling butterflies. What happened? A well-known local weatherman “discovered” her and dragged her, against her will, into television. That was 20 years, 2 months ago and now, I can talk to anyone. Thank you, Universe. But there are things I’m still fighting, one of which is technology. I prefer real books over Kindles; car windows that roll down, and cell phones that exist primarily to make phone calls. I am behind the tech curve and I like it that way. So, of course, technology is being introduced into my world at a dizzying speed. The tags originated in Japan and operate like barcodes in that they’re chock full of information goodness when read by a scanner. So, bust out your Smart Phone, download a QR reader app (check http://www.qrstuff.com/qr_phone_software.html to see which app will work for your phone) and scan the code to see what comes up. QR codes can be encrypted with all kinds of data so they’re ideal for cramming a ton of information into tiny spaces. Acura’s already using QR codes in its glossy car brochures. In fact, many pages in said brochure sport nothing but photos, no text. It’s not hard to imagine a day in the not too distant future when every vehicle for sale will have a code on the sticker. One scan and you’d know not only that vehicle’s specifications but also what accolades it’s garnered or even, in the case of a pre-owned car/truck, its history. We at Butler see where this is going so we’re getting on the band wagon. 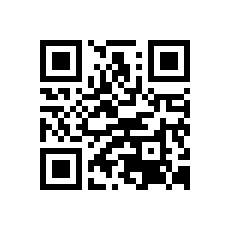 Look for QR tags to show up on our marketing materials as well as our inventory in the not too distant future. If your phone isn’t equipped to read a QR code, it might be time for a new phone. You may not like it now but you’ll thank me later.